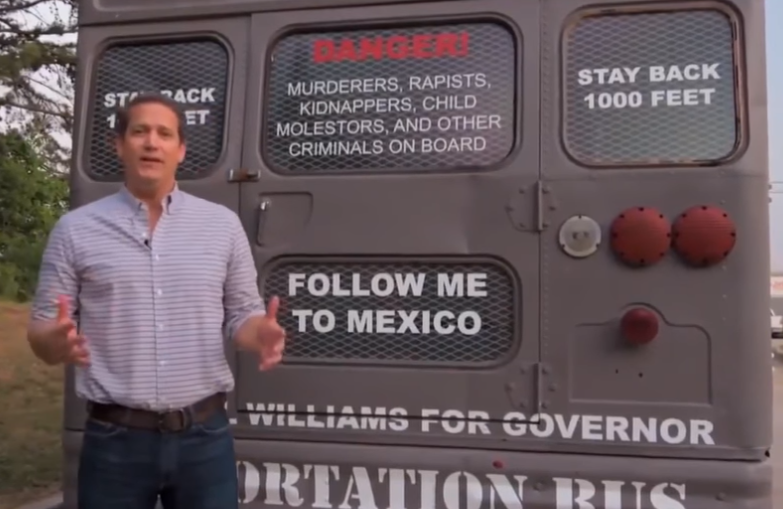 Gubernatorial candidate Michael Williams drove a "deportation bus" around Georgia leading up to the May 22 primary election. Just as we do at the end of every week, this Friday we brought together a group of four smart people to help us break down the week's news. On Second Thought host Adam Ragusea sat down with our Breakroom panel — Soumaya Khalifa, Greg Williams, Natalie Pawelski and Nemr — to put a rest to the Laurel vs. Yanny debate, process the royal wedding drama and analyze the antics of Georgia's GOP candidates for governor. On Second Thought host Adam Ragusea speaks with Breakroom guests Soumaya Khalifa, Greg Williams, Natalie Pawelski and Nemr. Greg Williams, host, "Greg's List Live"